What have my students been working on recently? You are able to view your students' recent activity on Education Perfect through your Control Panel. This is helpful to keep track of what topics they are focusing on. Start by clicking the Student Usage & Data button in your Control Panel. To change the class, subject, or time frame for the data, navigate to the Filters section of the page and click on the relevant label. There is an Export button at the top of each section that will print the data from that section into a spreadsheet. There are sections for Student Engagement, Class Breakdown, Subject Breakdown, Tasks, Assessments Feedback, Most Popular Activities and Recent Activity. 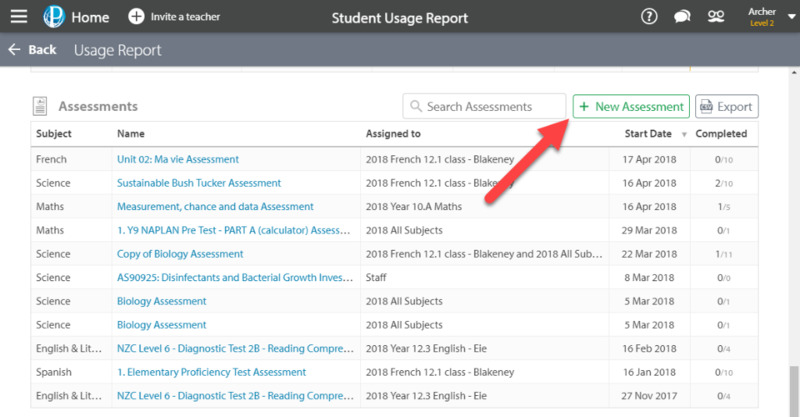 Clicking on one of the students' names in the Student Engagement section will open a Usage Report for that particular student. This works for classes as well. 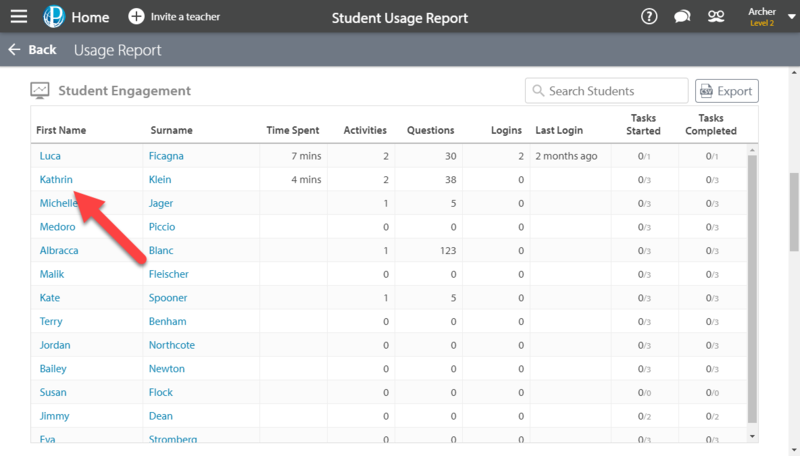 You can assign Tasks and Assessments from within the Student Usage Report under their respective tables. Navigate down to either the Task or Assessment table at the bottom of the page and click the respectively colour coded button on the right side of the table to begin the task creation process. 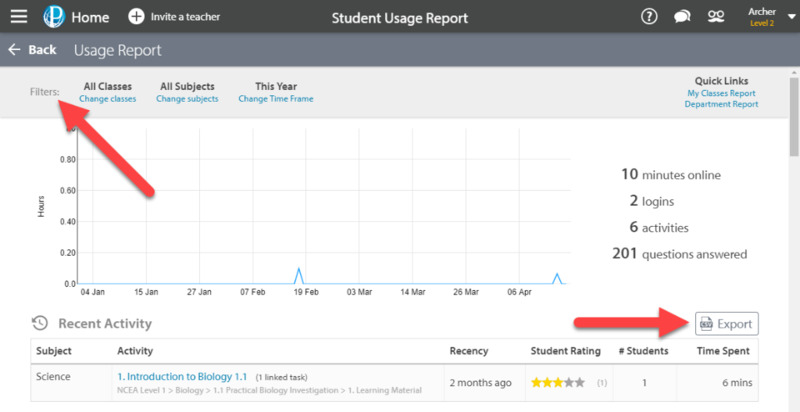 To find out more about the Student Usage Report section, check out our guide on reporting.